George Blake was a Scot, born in Greenock in 1893. At the outbreak of World War I, he joined the Argyll and Sutherland Highlanders, and took part in Gallipoli, where he was wounded. After the war, he became a journalist, and was the literary editor of the Glasgow Evening News, before an eight-year stint in London at the John O’London Weekly and the Strand magazine. He wrote a series of novels, and by 1930, was a director of Faber and Faber. 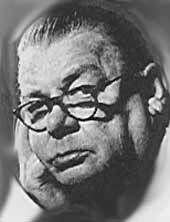 1932 saw him back in Scotland, working as a freelance for Glasgow papers, and, during the war, as editor of the Glasgow Evening Citizen. Like many of his WR colleagues, he was a prolific novelist – between twenty and thirty novels and other memoirs – and he had quite recently (1929) published The Path Of Glory, one of the formerly highly-regarded and now under-read accounts of World War One. However, it is for The Shipbuilders (1935) that he is probably best remembered, a take on working-class life that he was to admit was romanticised. 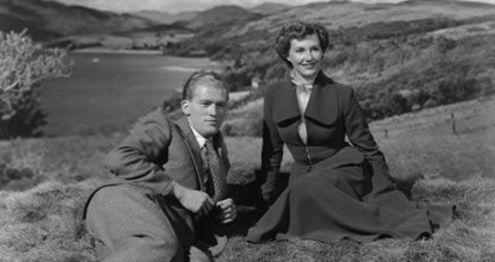 Some of his novels were turned into films – including Floodtide, which includes a stellar Scots cast, including Gordon Jackson, John Laurie, Rona Anderson, Mollie Weir, Ian Wallace, Jimmy Logan. He found regular work on the radio until his death in 1961.